I’ve been obsessed with turmeric lately, not only because of its unreal health benefits but also for its intriguing, complex flavor. This is one of those side dishes that you can make any night of the week, for any occasion, and it just works. There are basically only 5 main ingredients and 2 steps, and yet the combination of the honey and turmeric creates such an interesting flavor to keep the dish exciting. And it all starts with roasting the vegetables. 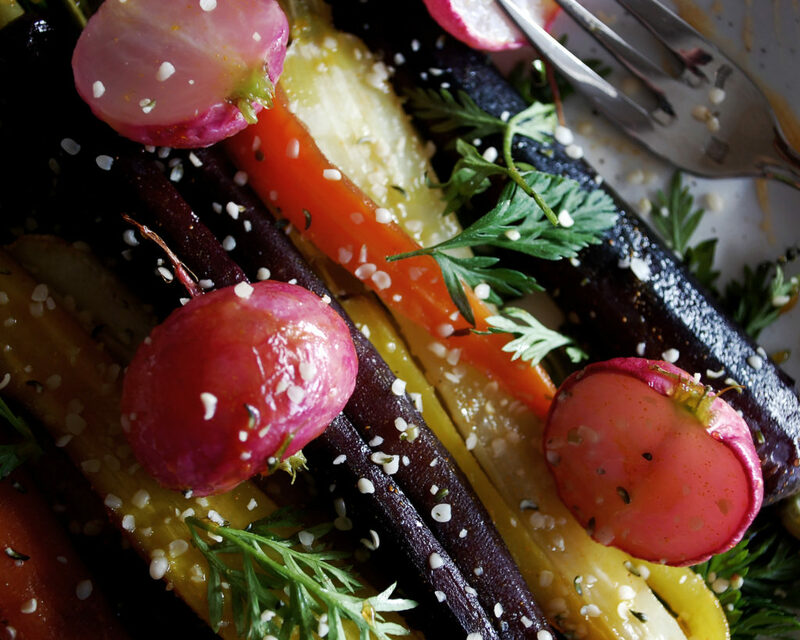 Roasting vegetables is one of the easiest ways to get great flavor out of your food with little effort. 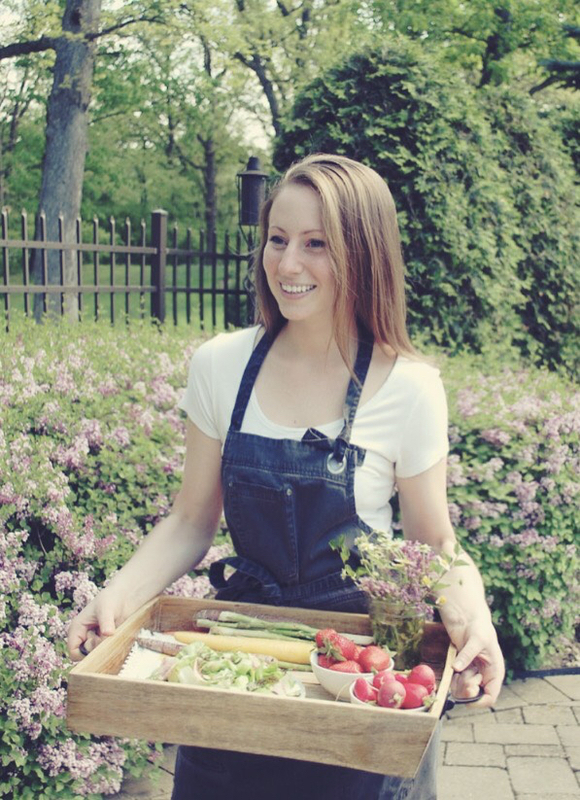 And especially for vegetables, you want to get as much flavor out of them as possible. To do this, even though it may be simple, there are some important steps to follow. 1. Make sure the vegetables are cut into medium size pieces so that they hold their shape while being able to get nice and caramelized on the outside. 2. Use a generous amount of oil to coat the vegetables or else they will be dry and not have that wonderful roasted texture. 3. Don’t be skimpy with the seasoning. 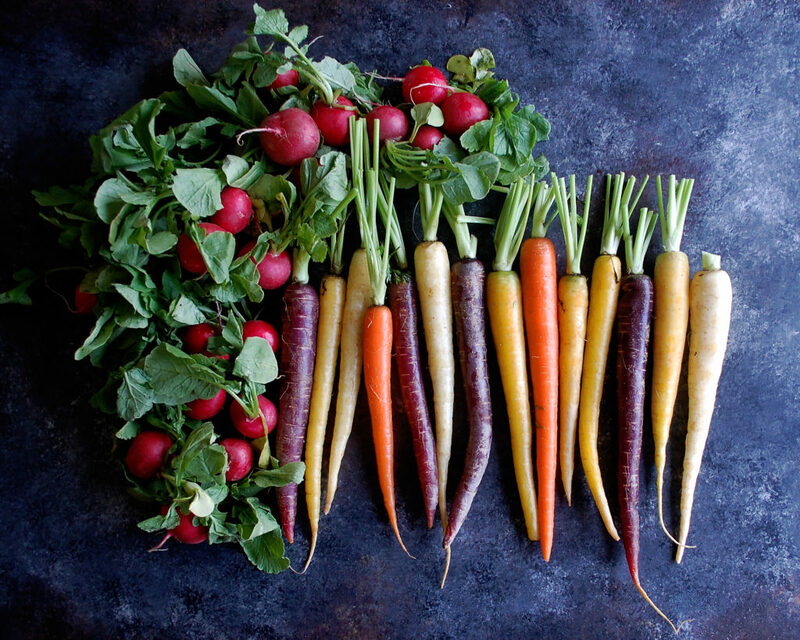 Vegetables can take a good amount of salt, and they need it to bring out their sweet flavor. 4. Start with a hot, hot oven (about 425-450F). 5. 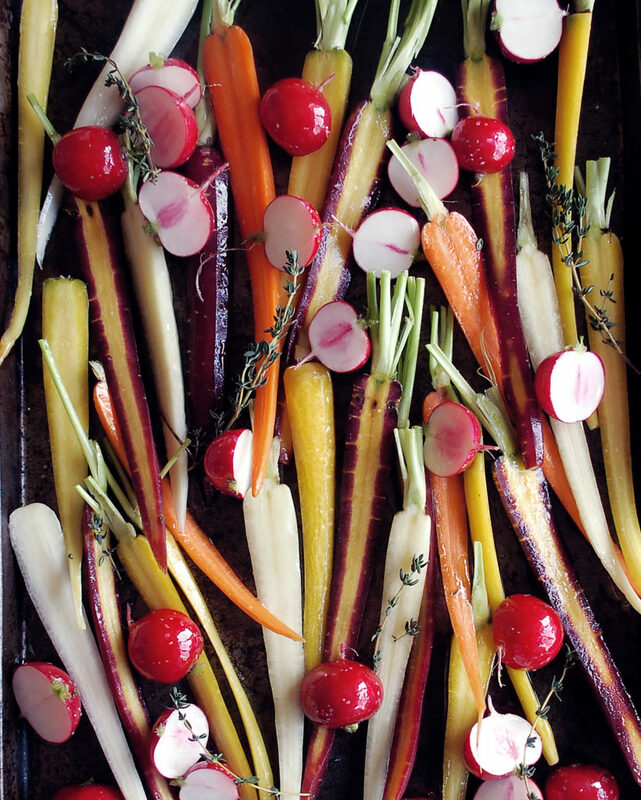 Spread the vegetables in one, spacious layer on a flat sheet pan. Both overcrowding the pan and using a dish with high sides will cause the vegetables to steam instead of roast. 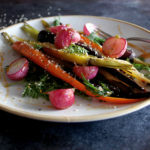 Since the oven does most of the work for you, I love roasting vegetables during the week because you don’t have to do much else once they’re in there. So, on a busy night, the veggies take about 10 minutes to prep (tops), and then you can be on your way doing other things while they roast. I do always try to add some other flavor whether it be coating them in a vibrant spice mixture or a garlicky herb oil. 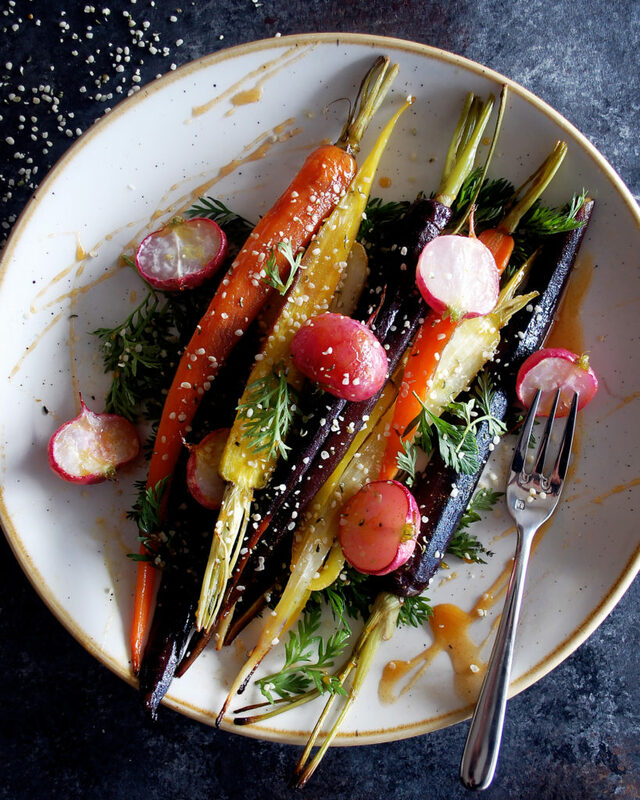 For these carrots and radishes, which are SO perfect for spring, I’ve added some fresh thyme and a sweet honey turmeric glaze. I’ve been making turmeric lattes a lot lately (just whisking ground turmeric and whole spices in simmering milk with a drizzle of honey until frothy), and I wanted to bring that sweet turmeric flavor to these roasted vegetables. Turmeric has a ton of health benefits, which is why I absolutely love coming up with different ways to incorporate the bright orange spice into my foods. Turmeric’s biggest attributes are that it’s a powerful anti-inflammatory and promotes acute brain function. Spices in general have all sorts of properties that are extremely good for us, so I try to use them up. In this dish, I just add a pinch of turmeric to a couple tablespoons of honey, and it results in such a tasty glaze for the vegetables. Honestly….so good. 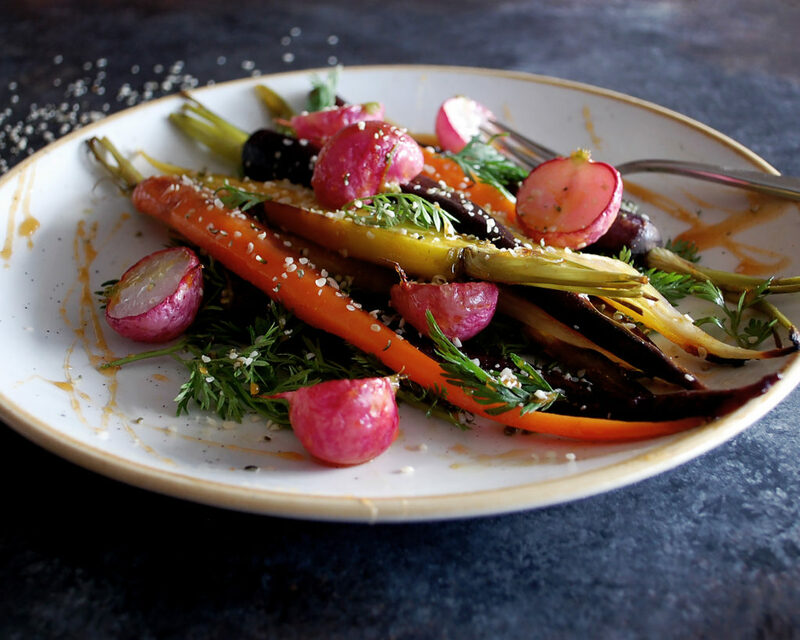 It turns plain roasted veggies into something different and delicious. A sprinkle of hemp seeds on top gives another healthy, earthy flavor to the dish. Enjoy! Preheat the oven to 425F. For the carrots, split each in half lengthwise. For the radishes, trim the top green stem and the bottom stringy end, both just slightly. You still want to keep the exterior of the radish intact. Split each in half lengthwise. 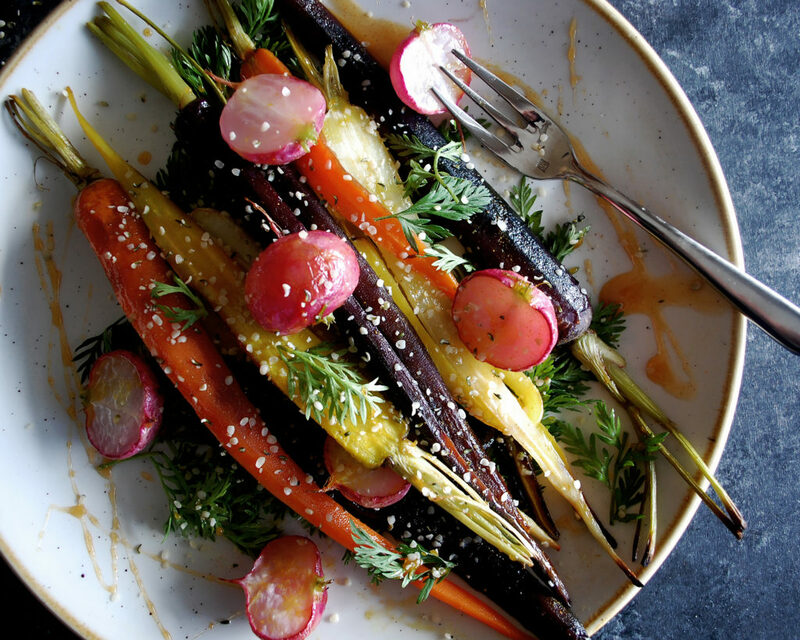 Toss both the carrots and radishes with a coating of oil in a large mixing bowl. Season with salt and black pepper. Spread the vegetables onto a baking sheet in one, even layer. Scatter the sprigs of thyme on top of the vegetables. Roast for 20 minutes. Meanwhile, stir together the honey and turmeric. 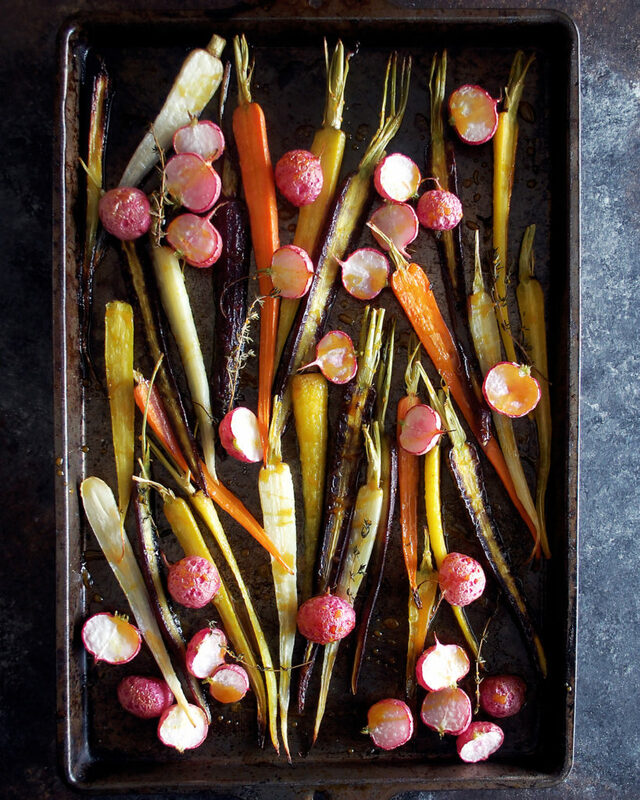 After 20 minutes of roasting, remove the carrots and radishes from the oven. Drizzle them with ¾ of the honey turmeric glaze. Roast for another 4 minutes. 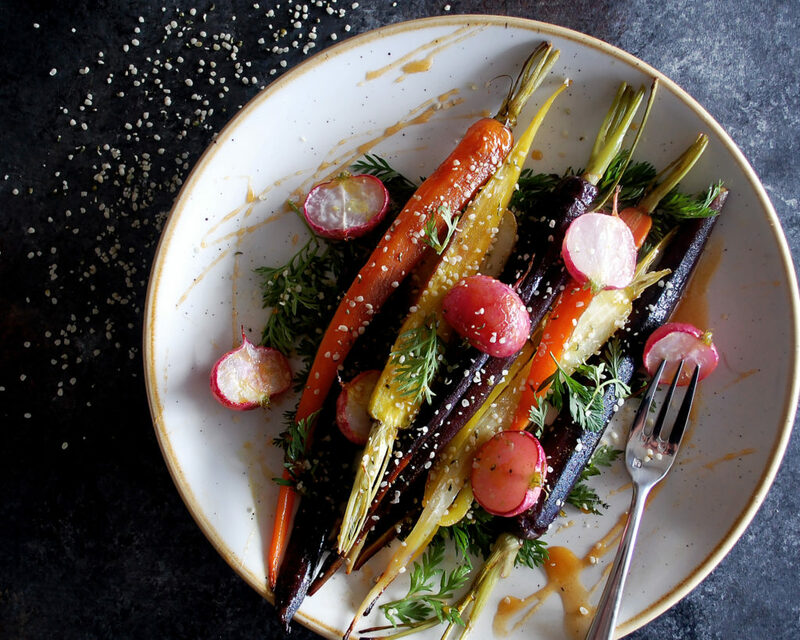 Serve the carrots and radishes on a plate with a drizzle of the remaining honey turmeric glaze and a sprinkle of hemp seeds. This is gorgeous. Love all the color. Thank you! It’s become my go-to side dish because it’s just so simple, but so tasty.